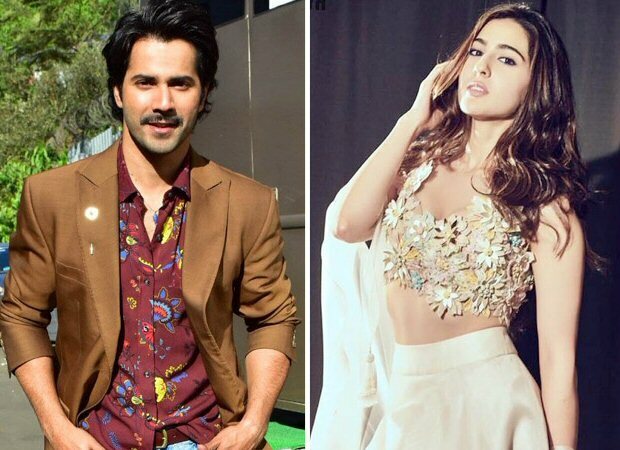 Not too long ago, there were reports about Varun Dhawan and Sara Ali Khan being paired together onscreen for a film. Although initially rumour mills claimed that they will be cast opposite each other for Remo D’Souza’s dance film, soon Shraddha Kapoor was signed for the same. However, now we hear that Varun and Sara are indeed coming together but for another film, that is expected to be a remake of Coolie No. 1. The original Coolie No. 1  featured Govinda and Karisma Kapoor in lead roles and was directed by David Dhawan. It seems that Varun’s father David is keen on remaking his cult film which also included the chartbuster, ‘Main Toh Raste Se Jaa Raha Tha’. And furthermore, who better than Varun who collaborated with his father for the potboiler entertainer Main Tera Hero. It seems that this remake will be the first film under the Dhawan’s new banner The One Entertainment. Furthermore, we hear that Sara Ali Khan too has apparently come on board for this film. If reports are to be believed, the newbie was approached for this role even before she signed her other two films. Readers may be aware that Saif Ali Khan’s daughter made her debut this year with Kedarnath, followed by another release with Simmba. These reports also suggest that the makers are keen on modernizing the 90s comedy to suit to contemporary sensibilities and will also be tweaking Sara’s character which was played by Karisma in the original. The remake of Coolie No. 1 is expected to go on floor somewhere in July. We all know that Varun Dhawan is currently busy with his other films, which includes Kalank and Remo D’Souza’s tentatively titled film Street Dancer. The actor has been completing the last schedule of the Dharma period film and simultaneously prepping for Remo’s film. Once he finishes the latter in April, he is expected to kick off Coolie No. 1 in July. If these reports are to be believed, the makers are keen on scheduling the release of this comedy during the festivities in the first half of 2020. Also Read: KALANK: Varun Dhawan and Aditya Roy Kapur bond on the sets of the film and here’s the proof!